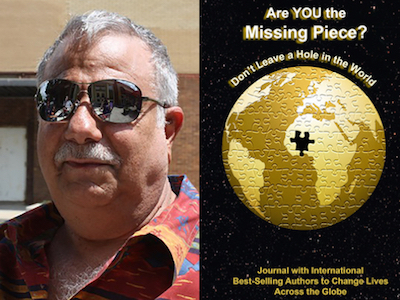 Dr. Dane Russo is featured in Expert Insights’ #1 Int’l Bestseller, Are YOU the Missing Piece? Dr. Dane Russo spent 38 years working at NASA’s Johnson Space Center in Houston. He now lives with his wife, Jean in Manzanillo, Mexico. 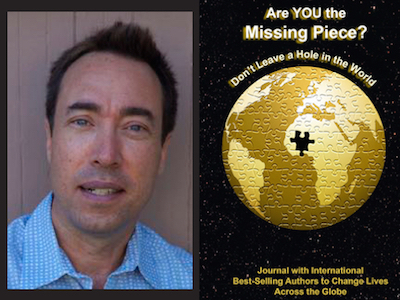 Devin Galaudet is featured in Expert Insights’ #1 Int’l Bestseller, Are YOU the Missing Piece? Devin Galaudet is the Founder and Publisher of In the Know Traveler and five other online travel magazines. He has visited over 80 countries worldwide! 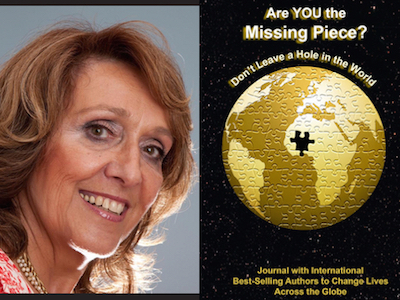 Frances Morfin Koll is featured in Expert Insights’ #1 Int’l Bestseller, Are YOU the Missing Piece? Frances Morfin Koll is a Songstress, Actor, Writer and Activist. Fran has residences in New York City and Manzanillo Mexico. 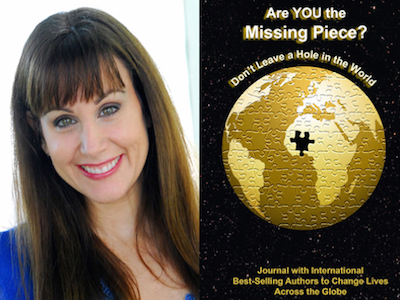 Morgana Rae is featured in Expert Insights’ #1 Int’l Bestseller, Are YOU the Missing Piece? Morgana Rae is a sought after teacher, speaker and pioneer in personal development and is widely regarded to be the world’s leading Relationship with Money Coach. 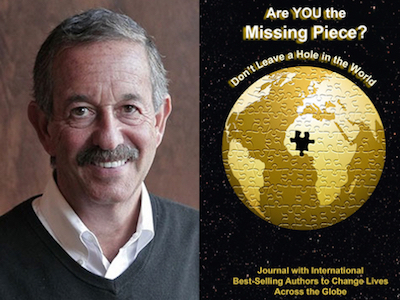 Rick Frishman is featured in Expert Insights’ #1 Int’l Bestseller, Are YOU the Missing Piece? Rick Frishman is Publisher at Union Square Publishing in New York, founder of Author 101 University, the premier event for marketing and publishing success, and the founder of Planned Television Arts (now called Media Connect). Rick has been one of the leading book publicists in America for over 39 years. Rick has a BFA in acting and directing and a BS in communications from Ithaca College. He is a sought-after lecturer on publishing and public relations and a member of PRSA and the National Speakers Association. Rick works with many of the top book editors, literary agents, and publishers in America as well as with hundreds of best-selling authors. Rick is also the co-author or over nineteen books, has appeared on hundreds of radio shows and more than a dozen TV shows. He has appeared on stage with notables including Sir Richard Branson, The Dalai Lama, T. Harv Eker, Brian Tracy and Brendon Burchard. 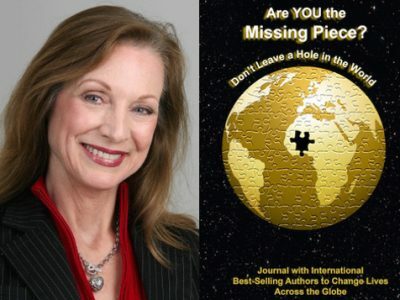 Susie Briscoe is featured in Expert Insights’ #1 Int’l Bestseller, Are YOU the Missing Piece? Susie Briscoe is the Founding Chair of Acer Coaching Associates, International Business Lifestyle and Master Leadership Coach with Legacy Strategist, along with being the International freelance Master Coach with Nightingale-Conant Corporation and Brian Tracy International. She is also the Author of 5 International #1 Best-Selling books. 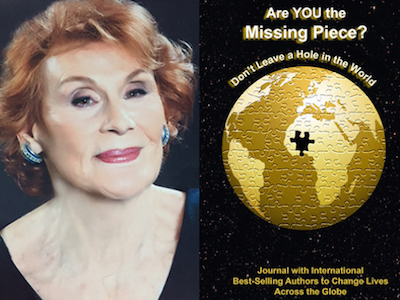 Dr. Marilyn Joyce is featured in Expert Insights’ #1 Int’l Bestseller, Are YOU the Missing Piece? Dr. Marilyn Joyce aka The Vitality Doctor™, is a Best-Selling Author, an Award-Winning Speaker, Founder of Compassionate Cancer Concierge™, Kick Cancer in the Can® and Journey to 1000 Days and Catalyst for Global Peace.